There are Worlds beyond our World. Our world of work, and rent, and taxes, and traffic. we must simply become— innocent again. all the doubt, fear, in the world. Allow me to be your Guide. And together enter these— Realms of Astonishment! 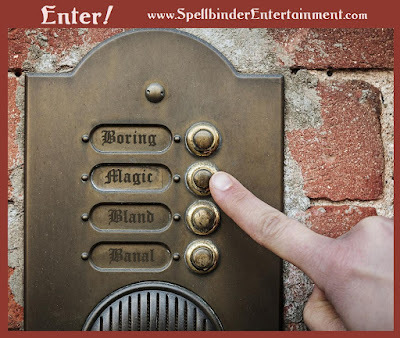 Entera World of Magical Enchantment - Just Ring the Bell! San Francisco Celebrates a Magical 4th of July!